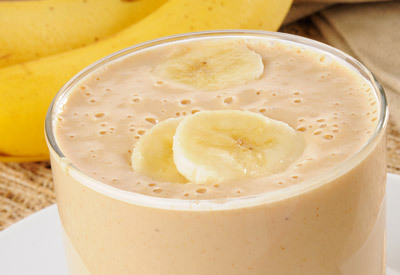 Place banana chunks, ice cubes, sugar, milk and peanut butter in a blender container; cover and blend to a puree. Thin with a little more milk or water if too thick. Pour into a glass and serve immediately with sliced bananas on top, if desired.